I was thinking lately that there are way more things I do now that I never envisioned myself doing a year ago. There’s probably more than I will put on this list but this is what I was thinking about last night. At The Training Station all kickboxing classes start with jump roping. When I first started, I could barely jump rope continuously for more than 10 – 15 seconds at a time. Now I can jump rope for more than a minute with ease and I usual only trip up because I get distracted looking at something. I can even do this nifty jump rope trick. You basically make a figure 8 with the rope while still jumping then jump back into the rope. It’s weird but I feel cool that I can do it. A year ago I would have been repulsed at the thought of flipping a tire. Didn’t seem like something I could feasibly do and I really didn’t want to touch a tire. I still may not love the idea of touching a used truck tire however I can now flip tires with ease. I’m not a fan of running. Never have and never will. I still have hopes of completing a half marathon one day. But I have to accomplish that task when the time is right for me. However, I can run 2 miles without even thinking about it. I don’t feel like I’m gonna die, I’m not completely trainwrecked by the end, and sometimes (don’t tell anyone this) I actually enjoy running. I also can somewhat facilitate sprint drills without being a complete mess. Woofles. I hate push ups. I really do. My right side is significantly weaker than my left and it just makes push ups super awkward. I can do 1 solid full push up. That’s way more than I thought I could do last year. I also breeze through modified push ups with ease. A year ago my abs were not even in existence. They are still rather hidden. However I can hold planks, fly through wall throws, oblique twists, TRX abs, and most any ab exercises thrown my way. A year ago I started getting seriously committed to fitness again. I was out of shape, run down, and didn’t think I’d ever get back to my previous level of fitness. But I’m starting to see myself get back to that point and I find myself doing things I would never have done before. I remember my first session at the gym last May. I almost puked half way through and I was just doing simple step ups. It was a wake up call for me. No matter how stressful life gets, working out keeps me sane and I will not sacrifice that again. I love snacks. I have all my life. I’d much rather mow on some Goldfish all day then eat real meals. In college my roommate and I would get excited when we found new hummus, chips, or snack foods. I can remember distinctly coming home from grocery shopping in college and having to try each of the new snacks. It was crazy. However with PCOS and not having the metabolic system like I used to have, I can’t just snack all day and still be able to fit through doors. So when I’m just absolutely dying for something snack-y, here are my go to snack items that won’t break your calorie bank. Non GMO, cooked in safflower/sunflower/canola oil, and only 3 ingredients. Plus the bag is BPA free. 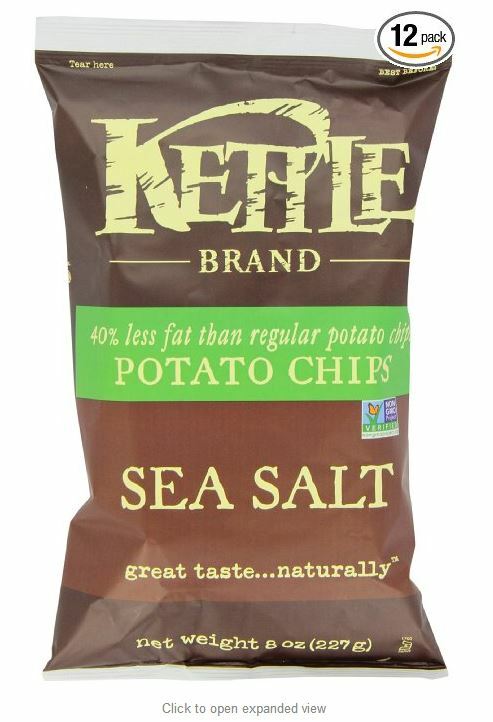 I like Cape Cod’s reduced fat chips as well, but these are just slightly above Cape Cod on the “GMO/Organic” scale. 13 chips for 130 calories and 6g of fat. Not stellar but if you need a chip, this is a better option than most. Ugh Pirate’s Booty. In reality, this is really not good for you at all. It’s just puffed genetically modified rice and corn with real cheddar cheese on it. But it is literally like crack. And trying to quit Pirate’s Booty is really hard when your grocery store keeps putting the giant bags on sale 2 for $6. What I like most about this is the volume you can have for one serving. If you want to trick yourself into having a “big snack” this is the way to do it. 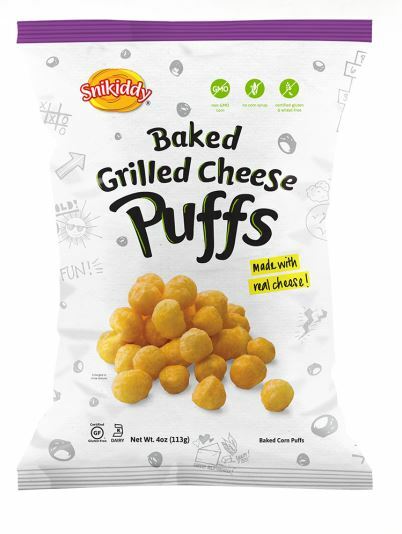 1oz is a serving and it’s roughly a cereal bowl worth of puffs. Again 130 calories, 5g of fat. Not stellar but better than what a serving of Cheetos will do to you. My non-GMO answer to Pirate’s Booty. This brand is relatively new and used to be hard to find. However, most of my local grocery stores carry it now. These are like non-GMO version of Cheez Balls. 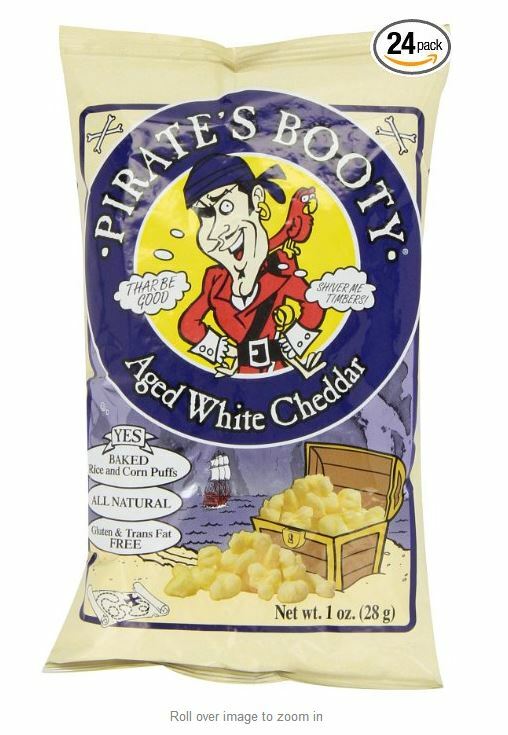 Same nutritional info as Pirate’s Booty, 130 calories and 5g of fat for a 1oz serving. I actually like these a bit more than Pirate’s Booty. If you haven’t had avocado hummus, you haven’t lived. SO GOOD. I will literally dip carrots, peppers, broccoli, pretzels, pita chips, and bread in this. I’ll also spread this on toast, on my egg sandwiches, on regular sandwiches. 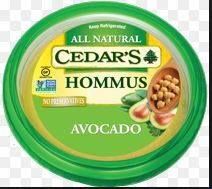 It is the BEST hummus around. I am fortunate enough to have access to a locally made fro yo shop not too far from my dwelling. 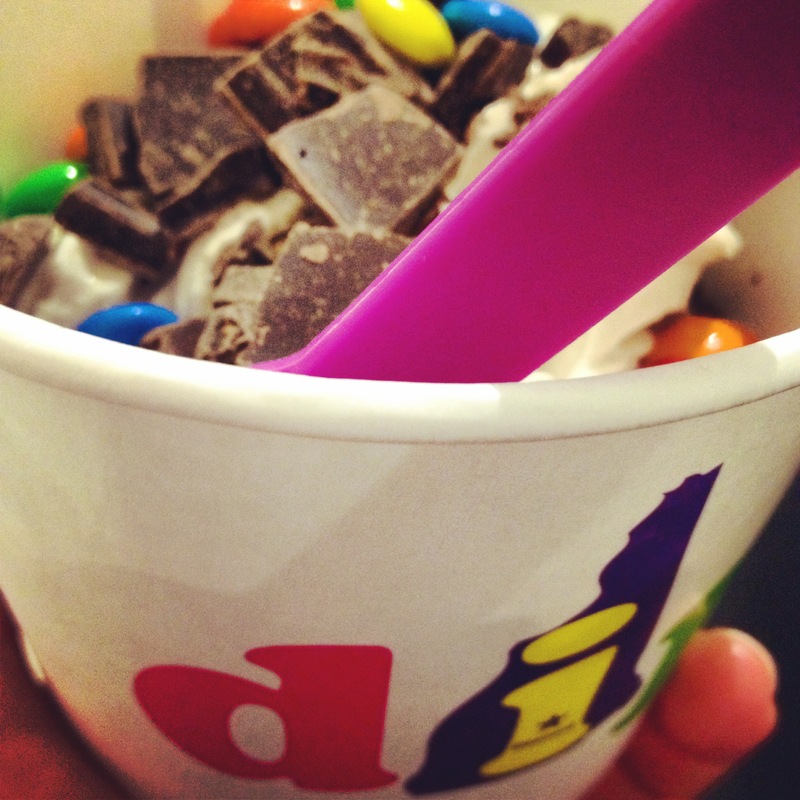 Their fro yo isn’t loaded with weird ingredients like many chain fro yo establishments. Although there is more sugar in fro yo, I actually like the taste better than ice cream. If you don’t load it up with candy (like I ALWAYS do), it can be a pretty guilt free treat. Those are my go to snacks. I try not to even buy any of these regularly besides hummus. If it’s not in my apartment, I won’t eat it. Plain and simple. I’ve actually been doing pretty well not buying snacks lately. However, when I have friends up or my parents over, I do feel obligated to keep something snack-like around. What are your go-to snack foods?